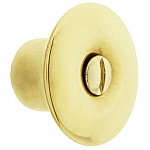 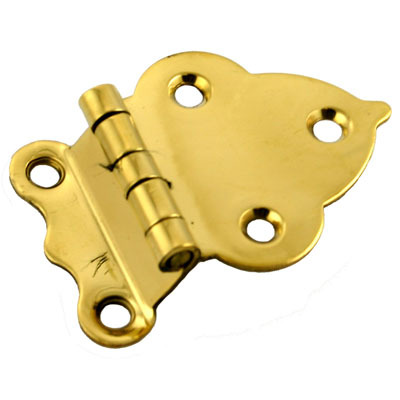 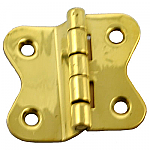 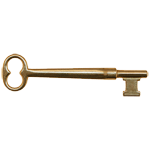 This solid brass hinge is our most popular hinge in the Hoosier style hinges that we carry. 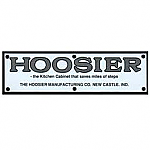 The design of this hinge was very popular in the early 20th century and many cabinet makers such as Hoosier and Sellers used this type of hinge on their cabinets. 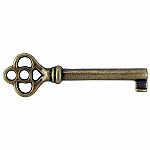 This item is $6.52 when your order exceeds $250 before shipping in qualifying items.